While making any image into an 8-Bit style graphic can be a lot of fun, it’s surprisingly easy to go the extra mile and use authentic palettes of popular retro gaming systems like the Gameboy, NES, or Sega Master system. All you have to do is fire up nearly any version of Photoshop and download a few files to make the process quick and easy. Keep reading. My first How-to on creating 8-Bit graphics is still available, and shows the process in greater depth. If you still remember the steps from before, you’ll be okay without rereading it and just grabbing a few images you find interesting. Again, iconic images with good contrast can be very helpful to creating a better final product. 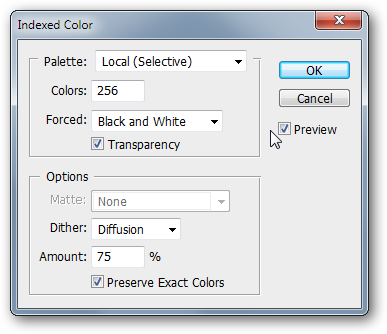 This loads up the Color Table for your image. It has generated one automatically, but we have no interest in that right now. Click the “Load…” button. 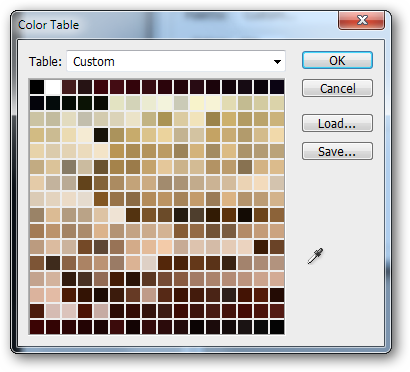 You’ll get a browser window looking for a color table file. I’ve created three color tables for How-To Geek readers to experiment with, so download them and plug them in at this step. They’re available in a ZIP package. My favorite is the “Gameboy” palette. 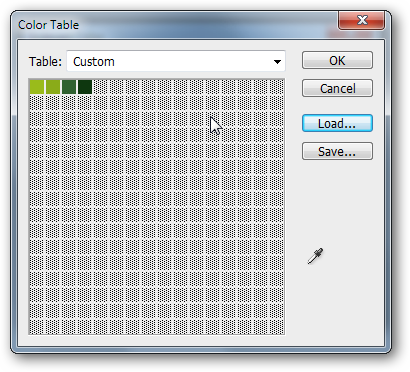 The “Gameboy” color table has loaded up nicely. 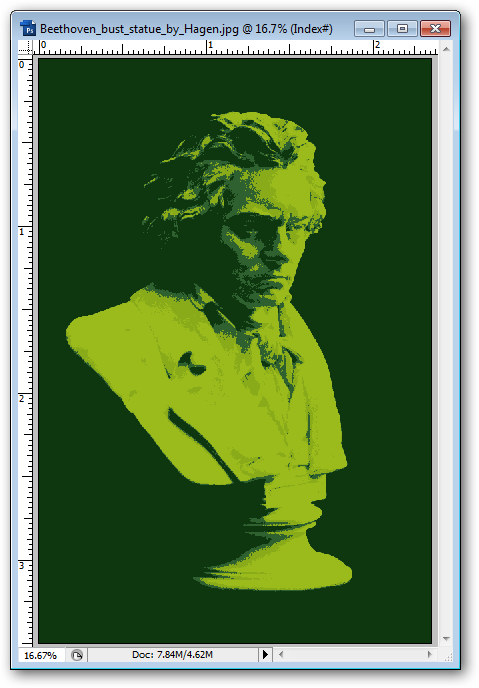 Hit OK to begin rendering your image in glorious shades of green. 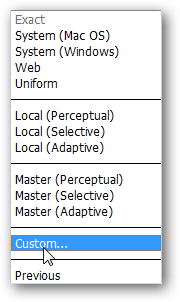 I’ve been setting my Dither amount lower lately, and also using “Preserve Exact Colors.” Experiment with your settings to find your favorites, or simply use the ones shown here. We’re off to a great start with Beethoven. 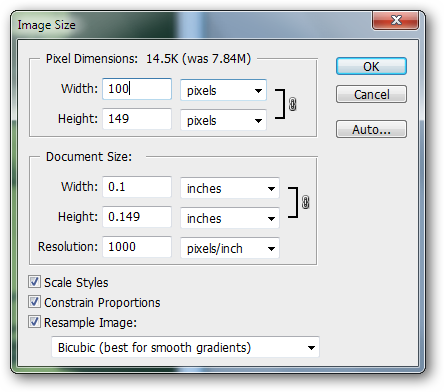 Again, shrink your file to a small size. 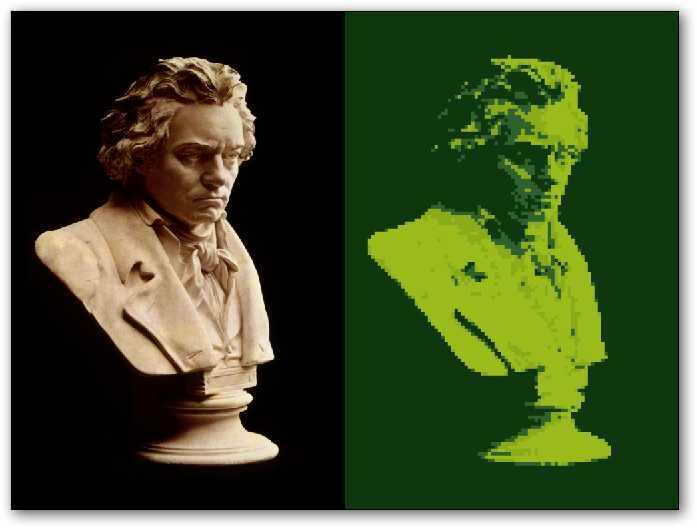 And, we have an excellent representation using Gameboy-style colors. Yoga Fire! Here’s a nice example of the NES color palette. 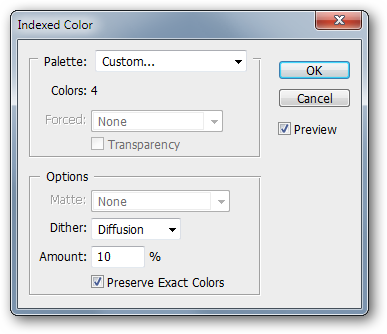 Download the color tables if you haven’t already. If you need a refresher on creating these 8-Bit graphics or missed out the first time, check out my original post, and create some really cool stuff! Fire Breathing 2 created by Luc Viator, available under Creative Commons. Derivative image available under the same license. Special thanks to How-To Geek reader krhainos for his brilliant comments and excellent link.